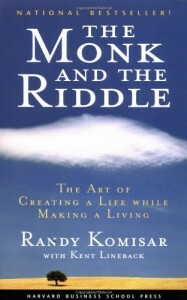 Home » Blog » Interview with Randy Komisar, author of the "Monk and the Riddle" and "Getting to Plan B"
Interview with Randy Komisar, author of the "Monk and the Riddle" and "Getting to Plan B"
Do you have a list of the smartest people you’d like to talk to? I do, and Randy Komisar, is at the top. His first book was about entrepreneurship – he used the story of a fictional entrepreneur looking for money for his start-up as a vehicle to share some really valuable insights about what is really important in business and life. I’ve been a fan since reading that first book, so when his second book was published recently, about business models, I was one of the first to buy it. Since then, I’ve recommended it to half a dozen people. I never thought I’d get him on the phone, but I took a chance, and sent an email asking him for an interview. To my happy surprise, he accepted. Reception: Hi, this is Randy Komisar’s office. Danny: Hi, this is Danny. Reception: Hi Danny, Hold on, just a sec. Randy: The call is being recorded. How are you! Thank you for being so flexible. Danny: Oh, no problem. Things have been a little crazy at the office today? Randy: Oh yeah. Yeah, yeah, yeah, the weather’s been bad so people are missing meetings and being late for meetings. Meetings that we’ve had on to try to schedule for a month at a time were on the verge of falling apart so they became priorities, so unfortunately, unfortunately this one suffered, but I’m glad we’re able to finally connect. Danny: Oh it’s no problem. I really appreciate you’re being able to make the time despite all this scheduling craziness. Randy: No, my pleasure, I hate being rude. Danny: Well thank you. I’ve got to say I’m a really big fan of yours, I’ve read both of your books and I’m quite excited about doing this. Randy: That’s very, very kind of you! Danny: So I know that your time is very precious, so let’s jump right in. 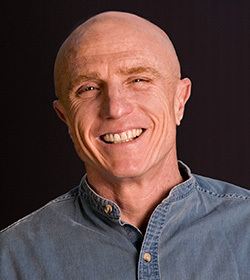 For the benefit of our listeners, Randy Komisar is the author of two really fantastic books. 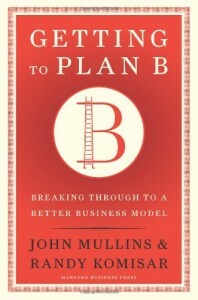 The first is called “The Monk and the Riddle: the Art of Creating a Life While Making a Living”, and the second which he co-authored with John Mullins is called “Getting to Plan B: Breaking Through to a Better Business Model”. Now, both of these books are absolutely fantastic and they should be required reading for entrepreneurs. In fact, over the last couple of years I’ve assigned one or both of these books to maybe a dozen clients and they’ve all thanked me for it. So, Randy, maybe you could start by telling us what drove you to write. I mean, you’ve had a pretty impressive career without needing one as a bestselling author, so what made you want to do it? Randy: You know, it’s an interesting story, Danny. I… in the middle of the boom in the 1990s here in the valley, I had invested this new model of starting companies as a Virtual CEO. And it was essentially a venture management model. I would apply myself across a portfolio of companies and bring my experience and network, but to work to develop the entrepreneurs who were there and not displace them. And so it was sort of an additive role where I was not the point person, but a partner to the entrepreneurs on a daily basis. And that model got a lot of traction in Harvard Business School. It sort of came on their radar, and as a result they wrote a case study about it, and they’ve used that case study now for over a decade, particularly in their executive education courses, but they used to use it also in their organizational development courses. What happened was that one day was that the Harvard Press was looking for new story ideas and they thought that that was an interesting approach to business, one they hadn’t seen before, and they sent one of their editors, Hollis Heimbouch out to California to meet with me. We met at my cafe at the time, where my office was. My office was in a coffeehouse called the Konditorei, I was there for eight years, and she met me there, she proposed that I think about writing a book and frankly I told her I wasn’t prepared to do that. I wasn’t a writer and frankly, I didn’t have an idea. But I thanked her, went home and that night I thought about it, as I’m like to do in my career – If you follow my career you’ll notice that I only make sense in the rear-view mirror – I thought about it and thought: “Who’s ever going to invite me to write a book again?” So I went back to her the next day and said: “Yeah, I’ll write a book, but it’s going to be about nothing. It’s going to be about the nuts and bolts of business, the philosophy and emotions of business. Not the heroics of business.” And she bit! And frankly, she was incredibly important to that book and how we got it out, because, I had no idea where we were going with it and I sort of stumbled through it with my co-author, who was a screenwriter and really helped me a lot with character development in particular. Umm, we kind of put one foot in front of the other and came up with the Monk and the Riddle, and I’m proud of that book. Danny: Well, a lot of entrepreneurs would argue that there’s not such a sharp distinction between the business and the rest of life, and I think that’s what the book gets across really well. Danny: So Randy, our audience at Mirasee, it’s most entrepreneurs and small business owners in the 0-10 employee kind of range, which is a challenging space as you know because every possible kind of resource is so constrained, including time. So for our listeners who haven’t had the pleasure of reading either of your books yet, can you give some guidance as to which would be a better starting point? Randy: Oh boy! I think the Monk and the Riddle people relate to very easily, it crosses over between MBAs and experienced managers and experienced entrepreneurs to people who are just out of school trying to figure out what they want to do next with their lives. It’s more about the heart and soul of entrepreneurship and the kind of process… really goes to the root of innovation. 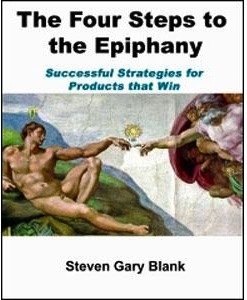 The Getting to Plan B is kind of the book I thought I would never write, because when Harvard came to me and asked me to write the Monk and the Riddle, or the book that turned out to be the Monk and the Riddle, one thing I told them was I didn’t like business books, because I found them too prescriptive. They, you know, in retrospect, everything seems really clean in business books, it seems like: “Well it’s obvious what you need to do! Why aren’t I that smart?” And I felt, well, that was always misleading to entrepreneurs and kind of discouraging to entrepreneurs, because it’s a messy process. But Getting to Plan B was one that John Mullins from the London School of Business came to me about – he had an idea about business models and he wanted me to critique it. I actually disagreed with his, with one of his concepts, which was that there was some direct link between business plans and the ultimate success of the company. And that turned into a debate, and then a collaboration, and that book is much more of a, a book that is actionable – it gives you the tools with which to think about entrepreneurship and innovation and apply it to your ideas. And so, I do think the Monk and the Riddle is much more accessible, I think Getting to Plan B is an action oriented book. When you’re ready to start, it really helps you take the first steps. Danny: Okay. Could you speak a little bit about the business model grid that you introduce at the beginning of Getting to Plan B? I’ve made use of this tool with many clients because there is so much packed into it. Can you tell our listeners about what it is and how it works? Randy: Well, yeah. Let me sort of lay out the premise, it’s actually a relatively straightforward premise, but on the other hand, it’s quite unique in this approach to innovation. The debate that John and I had that gave rise to the book was about whether or not business plans that the company started off with turned out to be the path to success for the company. And I had argued that there was very little connection between the business plan that the company started off with and the business plan that the company ultimately succeeded with. So John and I went back and we did a quick survey of the entrepreneurs and the companies that we knew, and we came back with some pretty startling information, which was about 95% of the companies that we were working with were on, were operating off of a plan that was different than their first plan, and it may have actually been a third or fourth plan. That their plan was constantly iterating, based upon what they were really facing in the market once they finally got products to customers. And so, the basic premise of Getting to Plan B is: Plan A failed. Plan A fails most of the time. As a result, how would we think differently about the innovation process? The conventional Silicon Valley approach to starting a business is you build a very well thought out, researched, MBAish-like business plan, and then you execute against it. And then you either hit the wall or you succeed. Well if we know you’re going to hit the wall most of the time, how do we avoid wasting the entrepreneurial effort and resources that went into getting there? So we came up with a dashboarding process. And the process is one of, first of all, defining your problem-set, really well, and finding your solution in a defensible way, and having that very crisply defined for you, because that’s your hypothesis about your business. To then test that against history, take a look at people who have done similar things in the past. Every idea is derivative of something. What are the things in the past that worked? We call them analogs. What are the things in the past that have failed? We call them antilogs. And between those two, you end up with a subset, and that subset is: what are the things that we simply don’t know, we simply don’t have enough information about today that will impact the success of our business. We call those leaps of faith. And we define leaps of faith as one, two or three things at any single point. If you’ve got a dozen things, you’re not distilling it to your life and death questions well enough. We take the leap of faith questions and we turn them, not into a business plan, but into a dashboard. And the dashboard allows us to sort of go through and, for every single leap of faith question determine an hypothesis: What do we think the answer is? A set of metrics: How are we going to quickly determine if we’re on the right path? And then a set of responses: How are we going to react to the information once we’ve got it? Some of it’s going to be reaffirming, some of it is going to be invalidating, and some of it is going to prove to be just a red herring. And this process is a rolling process. You end up, once you’ve answered the first set of questions, you end up with another set of questions; always the questions that go to the heart of your business. You answer those questions with real metrics from the marketplace, from real customers, with real products and experience and then you move on. The interesting thing about that is that it ultimately turns into something that looks a lot like a business plan, because you end up iterating until the critical questions are revenue generating questions, they are gross margin questions, they are operating expense questions, and you now have a business plan, not… formed not by assumptions before your business starts, but informed by imperical information from your real customers within the marketplace, from response from competitors in the marketplace, and now you have something that’s useful. Danny: So can you tell us a little more about analogs and antilogs? Where can you, where can you find them? And the question I had particularly when reading the book, is: How can you tell if they apply to your business? You know, here’s a situation where someone tried something and it didn’t work – is that an antilog, or just, you know, an interesting piece of trivia? How can I distinguish that? Danny: So would it be fair to say that in practice, all of your assumptions are leaps of faith and the analogs and antilogs are just there to kind of validate your assumptions in the absence of hard date? Randy: We use the term leap of faith as a focusing mechanism. You’re right – every assumption is a question, and every assumption should be thought about as a question, I think that’s good practice. But leaps of faith is a way of distilling those questions to the ones that are life or death, because too many of the resources in early stage ventures are often spent solving problems that are not immediate. I’ll give you a for instance. It was very common in the internet boom, to have companies go out and spend ten million dollars or more building infrastructure to deliver a service that they didn’t know that somebody wanted. I had a company come to us, a company I’m very proud of today called Pinger, who’s very successful today, came to us with their first idea, they wanted nine million dollars to test a voice messaging service, to compete against the text messaging service that was just beginning to be successful in Europe and was starting to penetrate the United States at the time. We looked at them and said: “We don’t know if anyone wants a voice messaging service. It seems premature to invest ten million dollars in that.” And they came up with a method for spending one million dollars to get enough of a product out to be able to test whether that worked or not. Well guess what – it didn’t. People didn’t want it, and if they had spent nine million dollars getting there, it would have been one time and out. One swing and out, they would have never been able to correct their course. Instead what they did was they spent a million dollars, measured, came up with their leaps of faith, measured carefully, reacted to the marketplace, and ultimately after one more pivot, they eventually came to their current business model, which is an SMS-based model. Danny: Can you explain – you just used the word pivot, I know it’s part of the language from the book. Can you explain what you mean by that? Randy: Yeah. A pivot is when you change the direction of your business based on the facts that you’ve now ascertained from the market. So a pivot for Pinger, for instance, was when they came back with information, directly from customers, that voice messaging, no matter how elegantly they presented it, was something that the customer was not looking for. It did not solve a problem for them. When they came up with that they took the data they had and they pivoted. 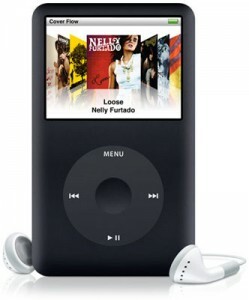 In the first instance actually to a feature phone service that included voice messaging as well as SMS, as well as iChat, chat and a variety of other things. And they spent another million dollars doing that, and by the way, the data came back mixed on that. But because they were measuring, they pivoted again, and what they found was, they were measuring constantly, and realizing that what was successful in that product was SMS. A very simplified, elegant SMS product, and right at that moment the smart phones were coming out, and they came out with a free SMS texting product. And that product took off. They pivoted twice based upon the information that they were getting from the marketplace with, using the data to discern a better and more promising direction. Danny: So it’s also a lot like Steven Gary Blank’s model of Customer Development. Randy: Yeah, it is, it is similar, it’s interesting because we get compared a lot, and I think he’s done a terrific job there. His model focus more on customer development, our model focuses more on business plan and strategy. And so the idea of having strategy that you create on the fly empirically, through real metrics, leading to a model by which your business is going to compete, profit and succeed, that’s where we focus. 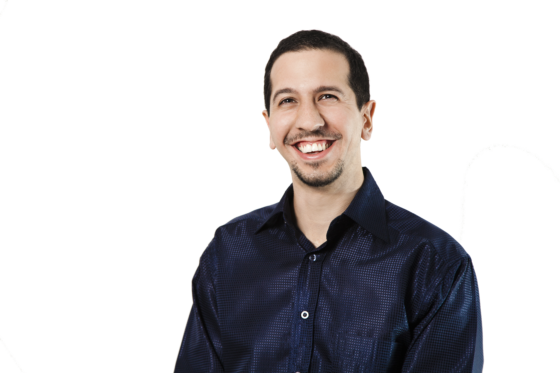 He focuses more on customer development and product as a surrogate for that. And then of course you look at Eric Ries’s work that he does in Lean Start-ups, and he looks at it from the product standpoint and getting it out with the minimum viable product, that you can test in the marketplace with customers, and then improve. Danny: Okay, you, you’re obviously very, very familiar with this model, having developed it, and you’ve also had a lot of business experience and a lot of exposure to start-ups and new companies. Has this made you more able to kind of feel out when Plan A isn’t going to work? Or you just know that odds are its not but how do you know for which company it is or it isn’t? Randy: That questions turns out to be the sixty-four million dollar question nowadays which is: “That’s great, I understand that I’m going to have to pivot along the way – how do I know when to pivot?” And there’s two responses to that. One is a truism, which is: Whenever you decide to pivot, you’ll wish you’d done it earlier. Meaning that the data that would, ultimately will lead you to pivot is data you already have, and that you may be skeptical of, you may feel that you need more of, that you’re testing that you’re doubting. But ultimately, when you finally decide to pivot, you’re going to go back and realize that you knew to pivot some time ago. So that’s a truism. The other side of it is, there’s no way to be certain when the right time to pivot is. But there is a way to use the data to keep you honest. And I just, just, just finished a meeting, just before this phone call where I was sitting with an entrepreneur, I love the entrepreneur, I love the team, I love their product, but they have been putting out products to critical acclaim over and over again but had difficulty building a robust, engaged customer base. They get a lot of adoption, not a lot of usage. And so we’re looking at a new product-set, we’re getting critical acclaim once again, and I’m looking at them and I’m saying: “Is this the time to pivot, or is this not the time to pivot?” And he’ll look at me and he’ll go: “You know what, here’s the data I’ve got, here’s what I’m following, here’s what hypotheses were, here’s what the dashboard is telling me. I think we should take this to the next level.” And I don’t know if that’s exactly the right decision, but I do know that we’ve at least disciplined the process to make sure that we’re not doing it on, on faith alone. That’s it’s not an emotional decision, that we are, we have good reason to believe from the data, that this is the right time to take it to the next level. We may prove to be wrong, but we won’t be as wrong as we would be if we weren’t using a dashboard. Danny: Right, and you never know for sure whether a specific decision was right, but it’s a process that, if you apply it to all of your decisions, a much larger proportion of them are going to be right, you just can’t pinpoint which ones. Randy: Exactly. That is exactly right Danny, exactly right. Danny: Okay, well I’m sure, especially leading from your last question, you get asked a lot about how people can implement this in practice, right? I mean there’s a question of runway that’s involved, in terms of you know, ‘cause if I’ve got my Plan A, I’m projecting to meet whatever targets I’m projecting to meet in the next twelve months, well, I’m expecting, you know, but then I have to build a window for three pivots into it. So that raises a question; if I’m coming at you as a venture capitalist, do I say well: “My plan calls for a million, so I’d like you to give me four”? To give me that extra space, or what if I’m, you know, that’s if I’m going after venture capital, but if you’re the small business who’s starting out of his garage and he’s got savings to last him six months because he projects that he can start making money in four plus two months of a window. How does that affect all of these projections and budgeting? Randy: Yeah, the process… I do believe that the entrepreneur should always raise a little more than they think that their plan would require them to take. I’ve never met an entrepreneur who complained to me about taking additional capital, even if it meant additional dilution. I have met many entrepreneurs who have complained to me about running out of money. So I do recommend that people take in more capital then they expect to spend. That being said, you don’t need four times as much capital, and the reason is: this is a process, it is not a set of wind sprints. I don’t go from A to B, pivot from B to C. I’m constantly gathering information, testing assumptions and getting indications of whether or not I’m on the right track. If I, if I’ve given myself a reasonable period of time, by the end of that I either have a good indication of why somebody should give me more money or more time to move forward, or I don’t. And I think that the process should be self-limiting to some extent. So while I, you know, with Pinger for instance, they had money to make the first pivot, for instance. The second pivot they needed to raise additional money for. They needed to have good metrics to show that there was reason to believe that this next round of financing would be the successful round of financing. And so they were able to use this dashboarding process to gather the right amount of information to make their story and validate their story, and to reduce the risk for the next series of investors. So I do believe, number one that you should raise additional money, but this is not a binary process, it is a constant journey of measuring, testing, asking the right questions and alignment. And through that you will be gathering information all the time that will either give you more or less confidence. At the time you run out of capital, if you don’t have confidence and no reason to have confidence, it’s probably a good thing that you stop, find a new direction, and move on. Danny: Okay, well Randy, we’re coming up on the half hour, and I want to be respectful of your time, I also want to make sure that our listeners walk away from this interview with a clear action step that they can take to improve their business model. Other than reading your books, of course, which is a great first step, what is the single that you would recommend that entrepreneurs could do today? You know, they’ve heard this interview, they’re thinking: “Wow, this is great stuff. I’ve got to sit down and apply it. I’m clearing three hours this afternoon.” What should they do with those three hours? Randy: I think that the first step in my mind is to make sure that you’re asking the right questions of your business. To sit down with a clear eye, not to selling the idea to investors, or selling the idea to partners, or selling the idea to employees, but to sit down with your own counsel and say: “What are the things that keep me up at night? What are the leaps of faith in my business?” That’s number one. Number two is to figure out the least amount of work that they can do to get real, imperical information from the marketplace, their customers and others to determine whether or not the answers to those questions are the right answers. To test their assumptions, and to do it cheaply and fast. They’re not going to get a hundred percent validation, but they should get sufficient indication that they’re on the right track or not. The third thing is, I think, the entrepreneurs I talk to, I’m always surprised at how little grasp of history they have. It is amazing how many of them come in and use the term “revolutionary” with me. It’s amazing how many of them come in and tell me how “there’s no competitor, and nobody’s ever done anything like this before”. That’s simply not the way innovation occurs. The idea that a light bulb goes off in somebody’s head, and there’s a “eureka” moment has been disproven over and over again in the literature. The way that innovation occurs is through synthesis, and you need to give credit where credit is due to others who come before you in, in plowing the way. And by understand what they did in their businesses, what’s different about their business and your business, what’s different about their time than your time will really give you a great deal of clarity about what the critical hurdles are that you need to address when you wake up tomorrow. Then I think that three hours for most people is plenty of time to do most of the spade work on all three of those counts. Randy: No, I’m about to run into another meeting. But by the way, this has been a real pleasure for me, your questions are great and, I’ve been to your website, you look like you have a terrific, really a terrific business here. So I’m, I’m real pleased that I was able to participate. Danny: Well thank you very, very much. Alright well then I guess I’m going to wish you a good, smooth, pleasant meeting, and we’re going to wrap up. Randy: Thank you Danny, thank you very much. And don’t forget that you can also download the transcript of this podcast. Next Post » Presentation Ideas: Success with Video, a.k.a. Lay Off of PowerPoint! Mastering an Entrepreneurial Toddler Mentality… and Why That’s a Good Thing! Excellent interview! The “pivot” really hit home for me. I’ll be looking to pick up both of Randy’s books. Thanks! I am one of those business owners that Danny referred Getting to plan B to 😉 i had a lot of unvalidated assumptions and I was struggling a lot. Reading and apllying the concepts paved the way for a major “pivot” in my business. Asking the right questions, looking for analogs and antilogs and challenging my assumptions made all the difference. I am extremely grateful to having been exposed to it, and being guided by Danny. Fantastic and worth a second and third read/listen. I really enjoyed Randy’s thoughts about Getting to Plan B (since Plan A fails most times) and his take on “eureka” moments. Funny that most of what we think up or say has already existed in one iteration or another under the sun. Giving credit where it’s due is vital. Thanks for this and I’ll be back for more take aways!